Free Batch Music Splitter is a tool to split audio files into several parts or parts with a specified length. The program can do several splitting jobs at once. 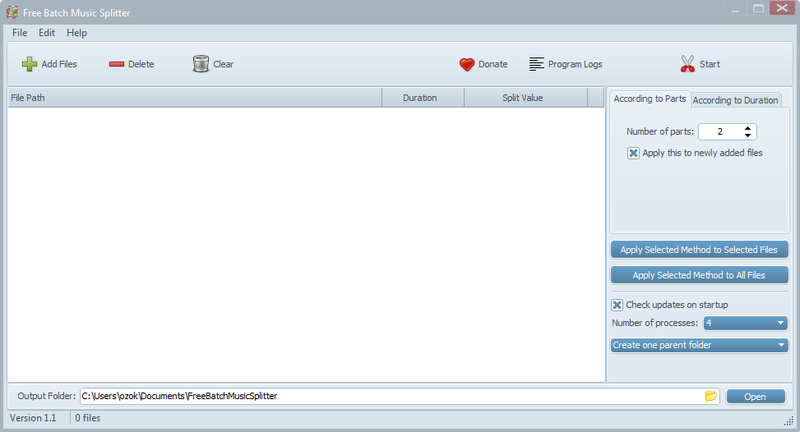 It will also add folders and subfolders, maintaining output folder structure. Funcitonal with MP3, AAC, WAV, WAVPACK, OGG, OPUS, FLAC, ALAC, M4B and M4A files. How to extract: Download the portable 7z package and extract to a folder of your choice. Launch FreeBatchMusicSplitter.exe. Added: Options to specify how the output files are named. Can't find what you are looking for? This list shows entries with Files - Splitters as a supplementary function. You can view more entries with Files - Splitters as a primary function.